Posted November 22, 2010 in Galactus, Keaton Tycer. 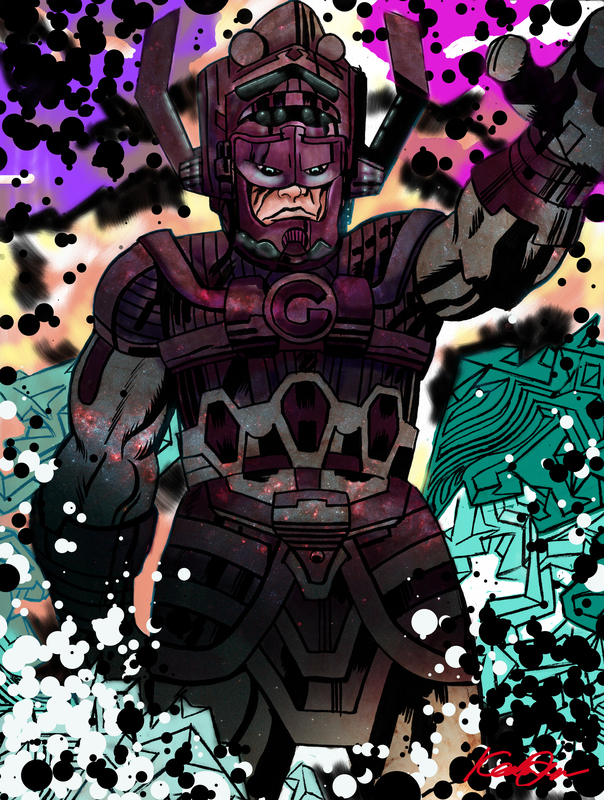 Galactus, The Devourer of Worlds, courtesy of graphic designer/painter/illustrator Keaton Tycer. Keaton owns and operates a small creative shop by the name of Art School Dropout Designs in Hammond, Louisiana. You can see more of Keaton’s colourful artwork at his Flickr photostream, here.